April 11th, 2019 | Press Releases. 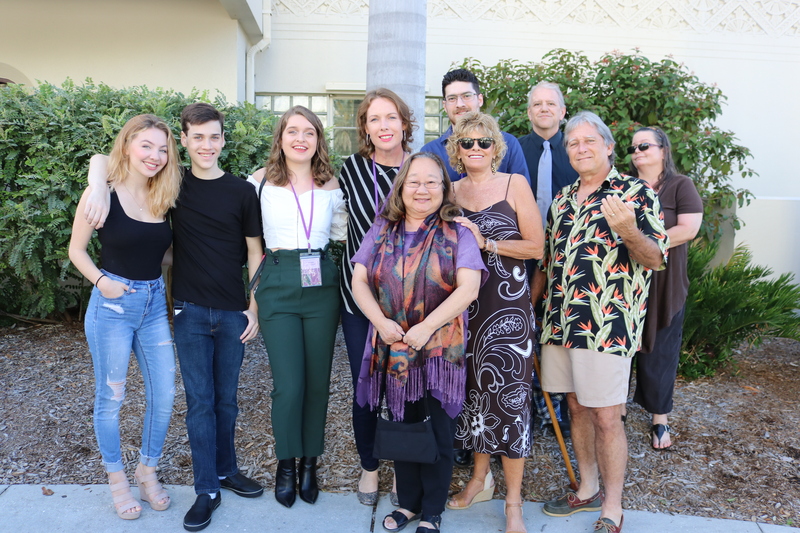 Of the six short films chosen for the Florida Showcase Shorts (Block 2) in this year’s Sarasota Film Festival, two had ties to Manatee Technical College. One was a student project directed by MTC digital video technology instructor Amity Hoffman. Another was directed by one of her graduates, Tori Silva. The opening night for the “shorts” in Block 2 was last night at the Sarasota Municipal Auditorium. They will be shown again on Saturday, April 13, at 10:45 a.m. in Auditorium 6. The six shorts range from 3:05 to 20:31 minutes each. In THE BEST MAN, directed by Hoffman, “a camera follows George in a single-shot as he tries to prepare his Best Man’s speech for his brother’s wedding.” THE BEST MAN was the only single-shot film in the block. In a single-shot film, the entire film is shot in one take without stopping the camera. William Hennessey, a student at the time and now a graduate, was the camera operator. He also helped Hoffman write the script. In Silva’s film, EXTRA CREDIT, “a walk home from school turns deadly for two kids after a teacher assigns them an essay on their favorite serial killer.” The use of a hand-held camera and choice of music for the film soundtrack supported the film’s mystery. 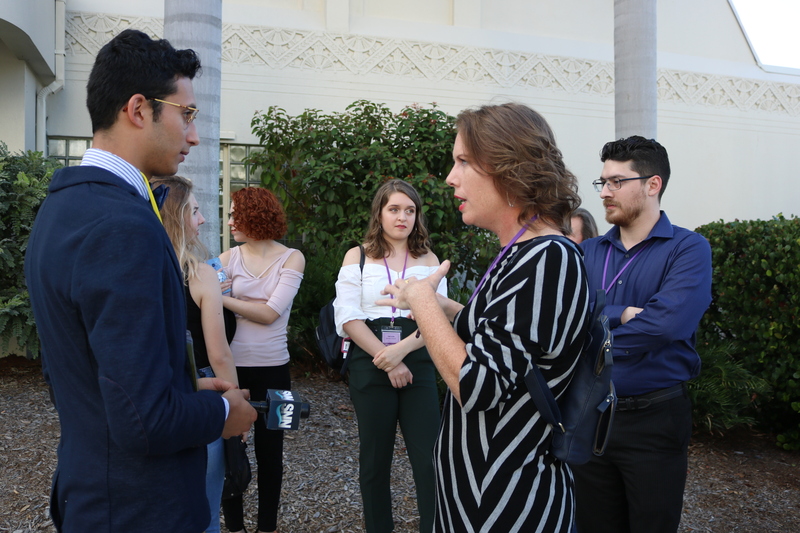 Hoffman and Silva were among three directors selected to be interviewed by SNN6 for its live news at 5:30 p.m. yesterday. To learn more about the films and for ticket information, go to https://sarasotafilmfestival.com/films/. 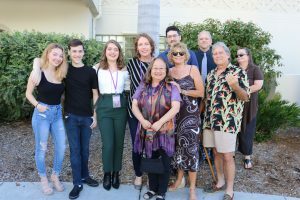 This is the 21st year of the Sarasota Film Festival. The festival runs through this weekend. The group photo includes Hoffman, Silva, and actors for both films. Back row: Anna Landis, Caleb Yates, Tori Silva, Amity Hoffman, Brian Beach Daniel Greene, Pamela Greene; Front Row: Candace Artim, Lynne Doyle, and Craig Artim.